“Te vas a enterar“, the investigative programme on Cuatro TV, has been looking into Corvera airport (the massive private airport built in Murcia just 35 km from San Javier, which has never opened). It’s no Panorama, but hey, nice to see an attempt. The main thrust of the investigation is that the private consortium behind the airport is, according to rumours, about to go under. Meaning that the Region of Murcia will loose its investment, the airport will never open, and the taxpayer (on top of all the rest of the cash pumped into the airport) will have to pay 200 million euros as part of the airports debts were guaranteed by the regional government. The airport would then go into receivership, and as it’s not currently operating (and from the film shot by the journalists yesterday, needs a damn good clean and a weeding before it can ever open)…. will sink into obscurity. 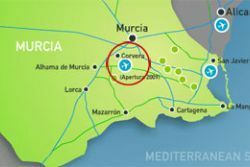 It’s a little sensationalist, in as much as there has been a lot of noise in the press about a supposed agreement between AENA and Murcia region agreeing to the closure of San Javier – nothing has yet been signed. What has been made public is that Sacyr, one of the main backers of Aeromur, the consortium behind Corvera, has announced that if things aren’t moving by the end of the year, it will withdrawn from Aeromur and sue Murcia for the 200 million euros. “We won’t put another penny into Aeromur until we see light at the end of the tunnel” they told Cinco Dias newspaper. A region well served by large international airports – Corvera, San Javier and Alicante. Does this look well planned to you? Murcia, it appears, doesn’t have 200 millions euros, as it is currently attempting to service a public debt of 1,8 billion euros, and it would have to default on the payment. With all the fun consequences of a regional government defaulting entails. Meanwhile, an undercover journalist talking to workers at San Javier claims that some of the flight figures are being massaged, and that the airport is, in reality, operating at less than half capacity, lower than official figures. Also, that San Javier management known that the airport has no intention of closing in favour of the new regional Corvera airport – AENA, the national airports operator, has no intention of giving up one of its precious airports (into which it’s sunk about 40 million in the last five years, revamping and expanding) in favour of a privately run competitor without a damn good kickback. Interestingly enough, we see an interview with people who claim they have never been paid for the land they’ve lost to the new airport, and are claiming it off the regional government. The programme reckons that even if San Javier closed tomorrow and all flights were sent to Corvera, the airport would still be running at a loss, as the Region of Murcia just doesn’t get enough flights to make a privately run international airport profitable. You can see the programme online here, the bit starts exactly 30 minutes into the programme. Some annoying adverts, which you can’t skip, come first. 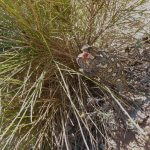 This entry was posted in Blog and tagged alicante, corvera, cuatro tv, san javier, te vas a enterar by David. Bookmark the permalink.